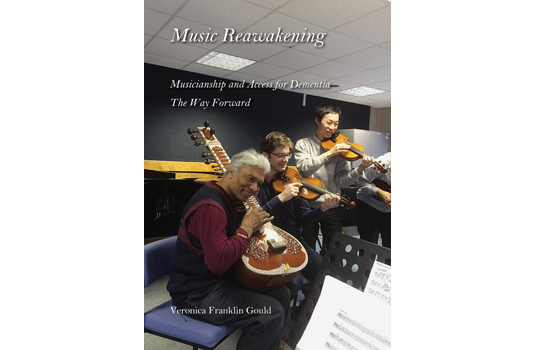 Music Reawakening, Musicianship and Access for Early to Mid Stage Dementia – The Way Forward [click the link to download] provides guidance to spread music practice for people affected by early to mid stage dementia and carers nationwide. Music Reawakening is the outcome of A4D’s Best Practice Symposium 2015 at London’s Wigmore Hall. The report presents programmes by leading opera companies, orchestras and choirs – most offered free to families affected by dementia. It illustrates music education opportunities and neurological evidence of the power of music to increase and maintain cognitive activity, improve wellbeing, reduce isolation in dementia and reduce the risk of developing dementia. Among the organisations featured are Scottish Opera, Glyndebourne, English Touring Opera, the Philharmonia Orchestra, English Chamber Orchestra the Forget-me-Not Chorus, choirs for people with young onset dementia, and music therapy community groups, as well as the Alzheimer’s Society “Singing for the Brain”. Participants report rediscovering lost skills and value the time and interest the musicians give them, the feeling of being involved in the creation of new music, opera, their ideas integral to each project and final performance. The programmes, all informed by training and mentoring, celebrate participants’ abilities, their ideas, emotions and musicianship, rather than losses. Keen to explore ways to enable musicians with dementia to address technical difficulties so as to enjoy playing in an ensemble without worry, A4D set up the partnership programme with the English Chamber Orchestra and London College of Music. This proved especially rewarding for musicians with young onset dementia and culminated in a performance of the participants’ composition on stage at Wigmore Hall for the symposium.